The annual release of NAPLAN results often heralds new discussions and reignites old ones about data and how it can be used to track and improve student learning. 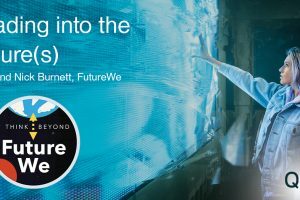 There are diverse views about the place and purpose of data for teachers and school leaders, but most educators would agree that data – whether from large scale collections like NAPLAN or the myriad of classroom “small data” sources – is most useful when it is used to improve classroom practice. The key is to not view a teaching focus and a data focus as disparate alternatives, but rather to use evidence (data) to inform and inspire great teaching. International thought leader and education researcher Dr Lyn Sharratt has researched and written extensively about how to lift student achievement by improving teachers’ instructional and assessment practices in the classroom. Importantly, Lyn’s work (with collaborator Professor Michael Fullan) confronts scepticism about the use of data by dispelling two common fears: first, by demystifying the process and providing clear and actionable guidance to use data for student improvement, and second, by putting FACES on the data to ensure that the all-important human touch is never lost. 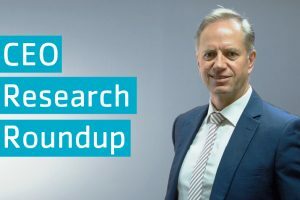 Amongst the field of numerous (and growing) approaches to data for educational improvement, Lyn’s approach stands out for its enduring success. Her approach is clear and actionable, and the results it produces measurable and replicatable. I have seen it used to great effect in the data walls and successful improvement efforts led by countless schools, regions, and system leaders. 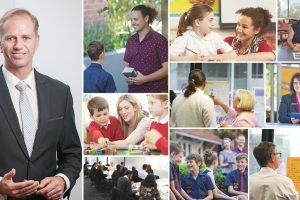 It has also been credited as the force behind such outstanding system-wide successes as dramatically narrowing (and almost closing) the attainment gap between Indigenous and non-Indigenous Year 12 students in Queensland – an achievement that system leaders say was guided by Sharratt’s putting FACES on the data approach. QELi is proud to have a continuing partnership with Lyn that allows us to introduce educators to her outstanding work and provide those who are already familiar with putting FACES on the data with the opportunity to deepen their knowledge of this approach through targeted and highly practical forums. Ninety-five percent of participants who attended our Putting FACES on the Data session with Lyn in June this year were satisfied/very satisfied and ninety-three percent said that they would be able to apply what they had learned in their educational roles and would be highly recommending the program to colleagues. 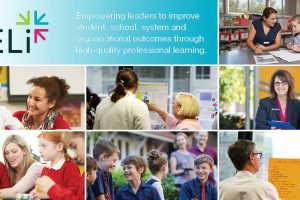 As a not-for-profit organisation with a genuine commitment to our vision of delivering excellence in education leadership, we are delighted to be hosting Dr Lyn Sharratt at two events in New South Wales this month. In these Putting FACES on the Data special leadership sessions, Lyn will draw on the approach outlined in her book and discuss findings of her work with Australian schools and systems to explain how educators can develop a common language for whole-school sharing of students’ progress and how ongoing assessment can be used to successfully inform instruction. I warmly invite educators from all sectors to join us for these events.